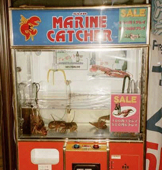 life - listed chronologically: Win a Lobster! We need these in the US. Some of the other vending machines linked to are cool too.